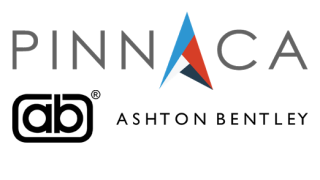 Pinnaca, a global provider of managed videoconferencing, telepresence, and visual collaboration services, has formed a partnership with U.K.-based Ashton Bentley, a designer and manufacturer of easy-to-use, integrated presentation and video conferencing systems. Pinnaca will now offer globally Ashton Bentley’s complete modular systems. Accompanied by an assortment of managed service programs, the new systems will assist customers in meeting today’s audiovisual technology needs for huddle rooms, conference rooms, and boardroom meetings. Pinnaca is regarded for its managed and cloud-based conferencing solutions, and for its user adoption program, making visual collaboration an easy-to-use business productivity tool for any enterprise. The new partnership provides customers with an option to centralize the procurement, deployment, management, and support of these units across the globe. Pinnaca will be helping customers replace traditional, customized AV room systems with Ashton Bentley’s products, which are designed to complement any room’s layout and design. The modular, integrated systems are designed to standardize an enterprise’s collaboration environment and to increase the effectiveness of user communications, thus reducing the longterm cost of ownership.